Bangladesh is seeing remarkable growth and progress across all sectors. Per capita income is increasing year over year, millions of citizens are being lifted out of poverty, Government services are becoming digitised, and the country is a garment export powerhouse. 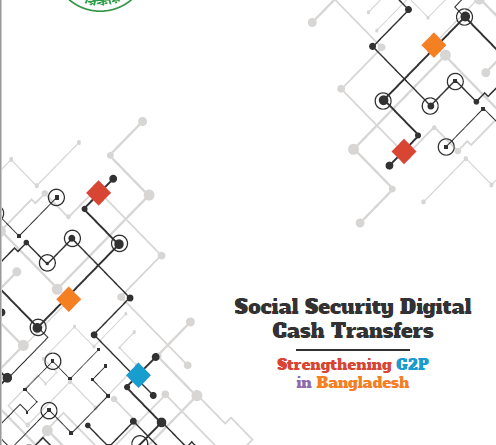 Under the strategic vision of the National Social Security Strategy (NSSS), the Government of Bangladesh (GoB) and UNDP are systematically targeting reforms in the social security sector in order to modernize this essential Government service. One of the mandates of the NSSS is to strengthen Government to Person (G2P). The current delivery model of lists, banks, and physical pickup by citizen beneficiaries of cash transfers is both time consuming (inefficient) and unresponsive in an era of global digitisation (doesn’t promote financial inclusion). In response to this challenge, UNDP conducted a small, eight payment pilot in 2016 to test three social security cash transfer deliver models: mobile-money, agent banking, and postal cash card. Although only tested briefly, the results clearly indicated that mobile-money as the best possible alternative, with higher levels of customer satisfaction and significant time and cost savings reductions compared to the other two delivery models. 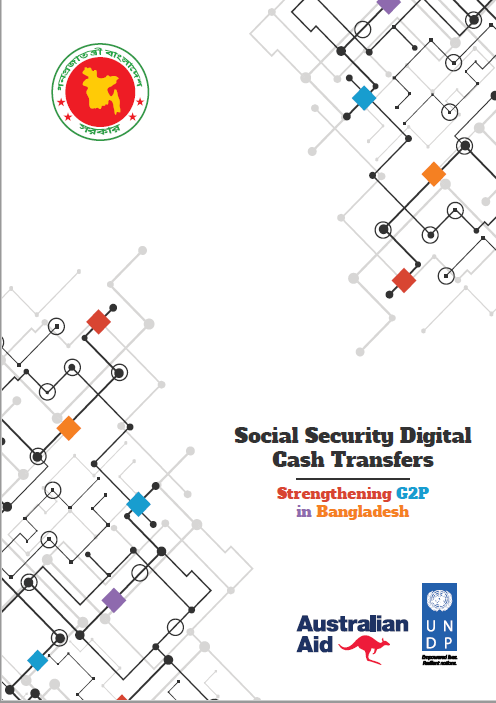 Based on that pilot and in collaboration with the Local Government Division, UNDP moved forward with this initiative: Social Security Digital Cash Transfers. This initiative involves testing two widely used digital payment mechanisms to replace physical delivery of social security cash benefits. Participants from the Strengthening Women’s Ability for Productive New Opportunities (SWAPNO) project, a Government social security cash transfer scheme implemented by UNDP, have been introduced to the two leading mobile-money service providers in Bangladesh: bKash and Rocket. Participants have been provided low-cost mobile phones, and given orientation on regularly receiving their social security cash benefit. Data on two primary components, efficiency and financial inclusion, are being regularly collected through surveys, focus group discussions, key informant interviews, and backend data from our mobile-money partners (participant voluntary). The efficiency component will focus on quantitative metrics, including time, cost, and number of visits in receiving their cash transfers, while the financial inclusion component will focus on qualitative metrics, including analysing behavioural insights interacting with and utilising bKash and Rocket. In the format of a Randomized Controlled Trial, a total of 1728 participants, from SWAPNO’s current, total population of 4464, have been selected (648 bKash, 648 Rocket, 432 control; as groups of 36 in a geographical location [Union Parishad]). For the purposes of insights into behavioural changes around financial inclusion, the intervention population has been divided into 4 groups of 324, with 2 groups (1 bKash, 1 Rocket) each receiving a different form of the intervention. At the end of the initiative in the first quarter of 2019, UNDP will present a high-level policy document to the GoB with findings and recommended pathways to national scale-up, supported by high quality data collected throughout the intervention, including behavioural insights from different styles of intervention.